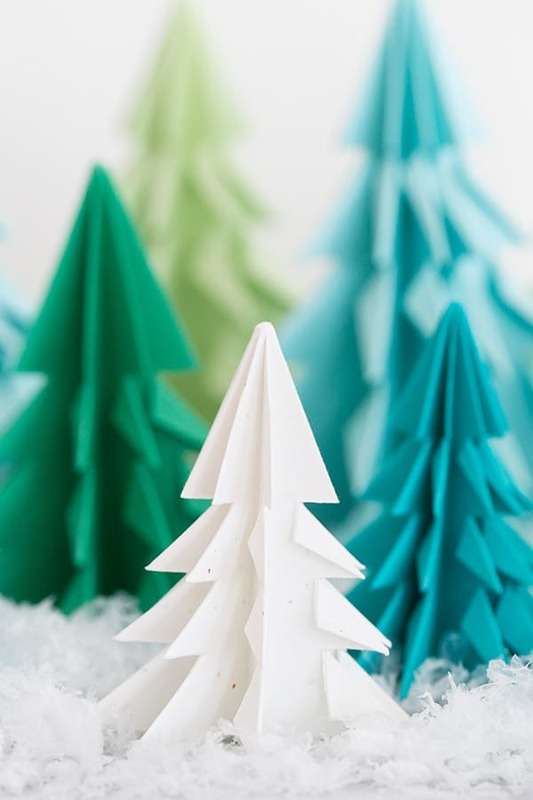 We’re smitten with these origami Christmas trees!! 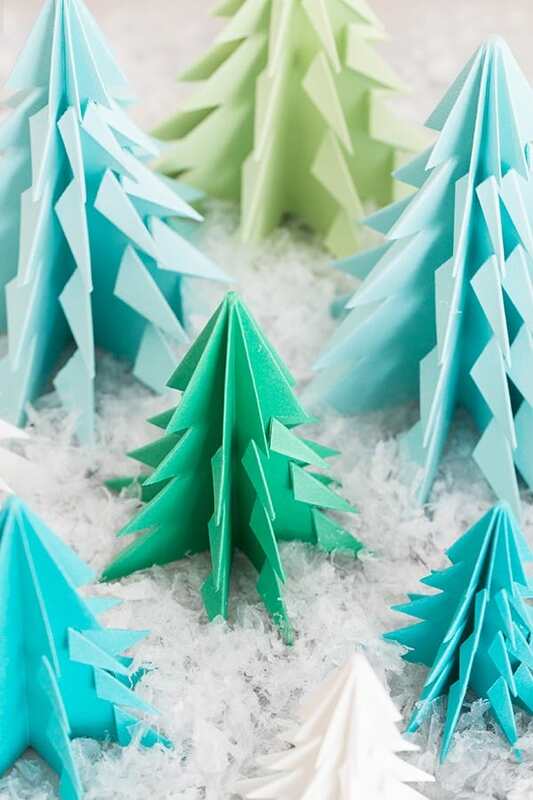 A festive and creative Christmas craft that you can use to decorate with for the holidays. They look super charming on a shelf, you can make a garland from them or tie them to a present. And, all you need is a piece of paper and some scissors. Super easy. If you want make a bunch of them, bribe your children with hot cocoa and put them to work, ha!! 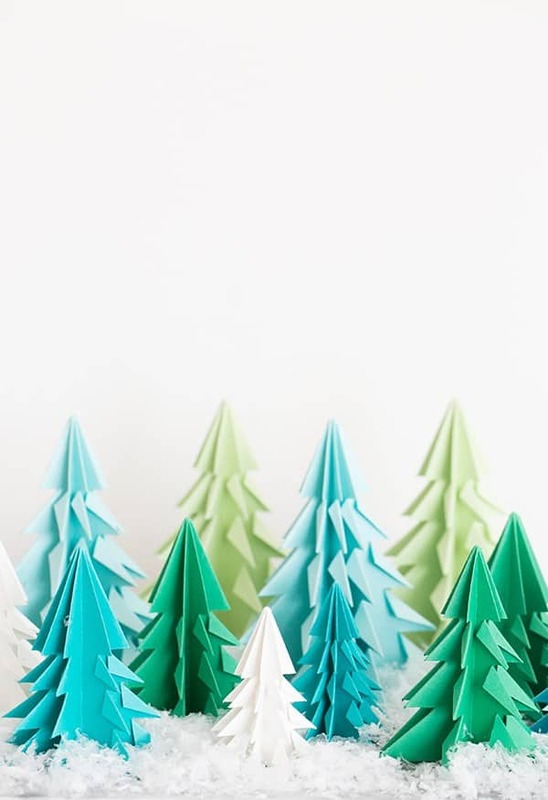 Just kidding, but really, kids do love origami and would be great helpers with these festive origami Christmas trees. Tis the season! 1. Fold top corner of the paper to align with the opposing side of the paper. 2. Cut the bottom of the paper off so that you are left with a square paper folded into a triangle. 3. 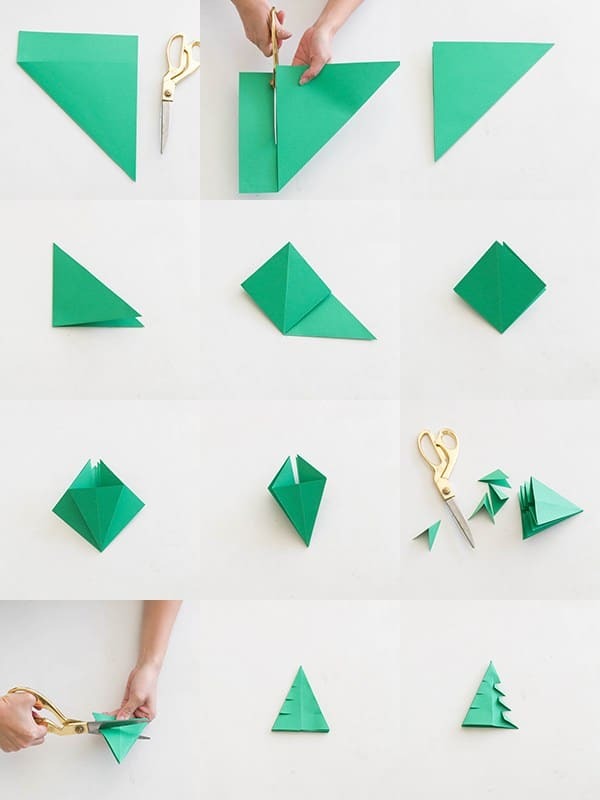 Fold that in half into a smaller triangle. 6. Trim off the bottom triangle. 7. Cut 3 rows on each side, spaced evenly. 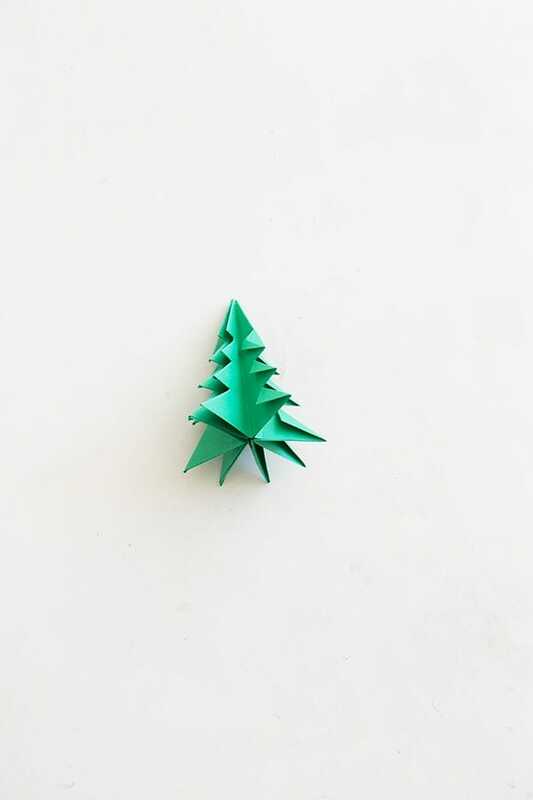 Here’s a great video showing how to make origami tress as well. 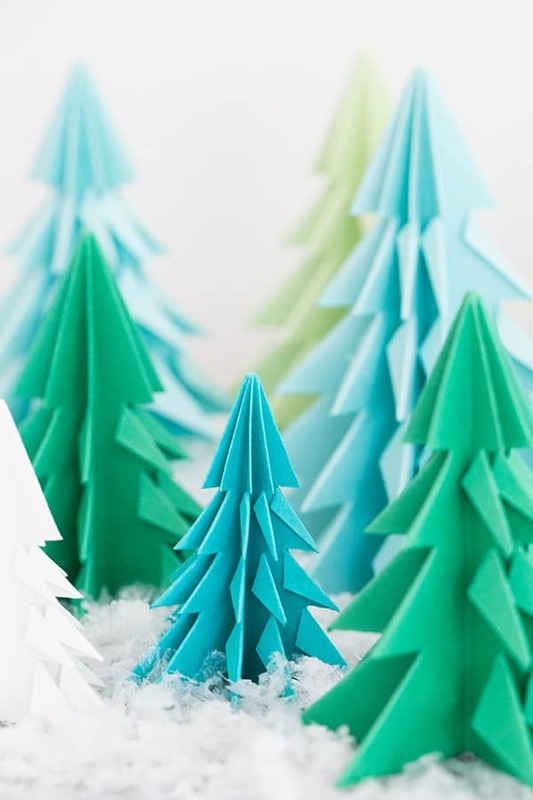 * For the larger paper we cut 4 rows on each side to create one more tier of the tree. Thanks Bonnie!! They’re fun to make! oh my gosh. i think daughter and future daughter in law and i will be making these. in all colors! Fun fact: when paper sculpting involves cutting as well as folding, it’s called kirigami. Origami is folding and folding only. 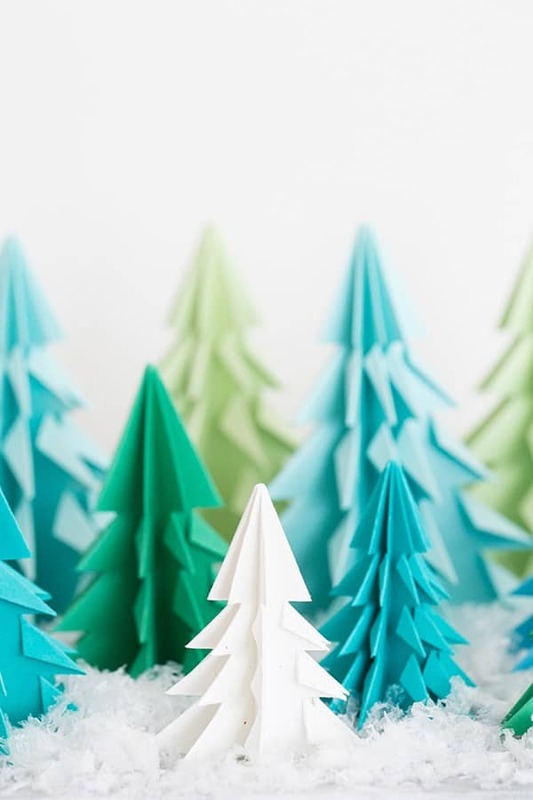 These Origami (or kirigami 🙂 ) trees are absolutely adorable. How cool would it be to decorate an entire tree with them? I guess I better get folding!